Original oil paintings and prints of beach paintings, animal art, flowers, landscapes, street scenes and coastal decor. 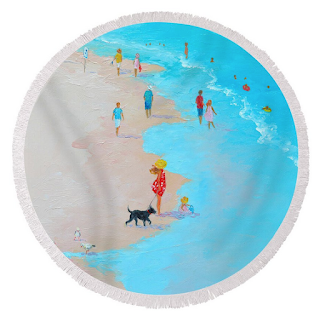 Original beach designs on round towels. 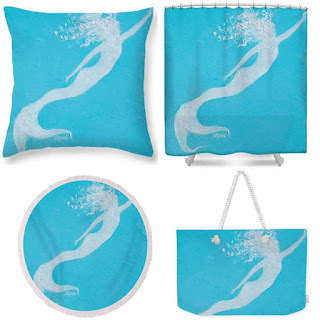 Great new products with original designs including phone cases, duvet covers, shower curtains and throw pillows. 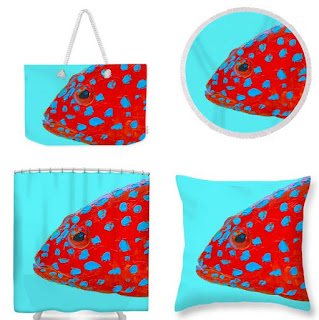 A striking and original fish design for coastal decor, wall art and beach products. 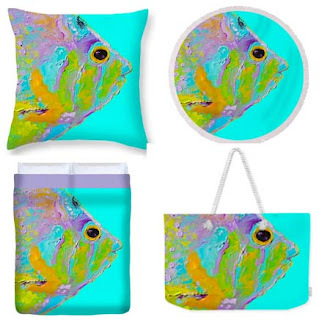 Original Tropical fish design on beach and home decor products. Exciting new products with original designs. Including phone cases, tote bags, duvet covers, canvas art prints, greeting cards etc. Visit the full range of coastal decor products. 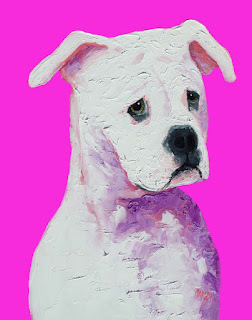 A white American Bulldog on a bright pink background for kids' room decor or nursery decor. 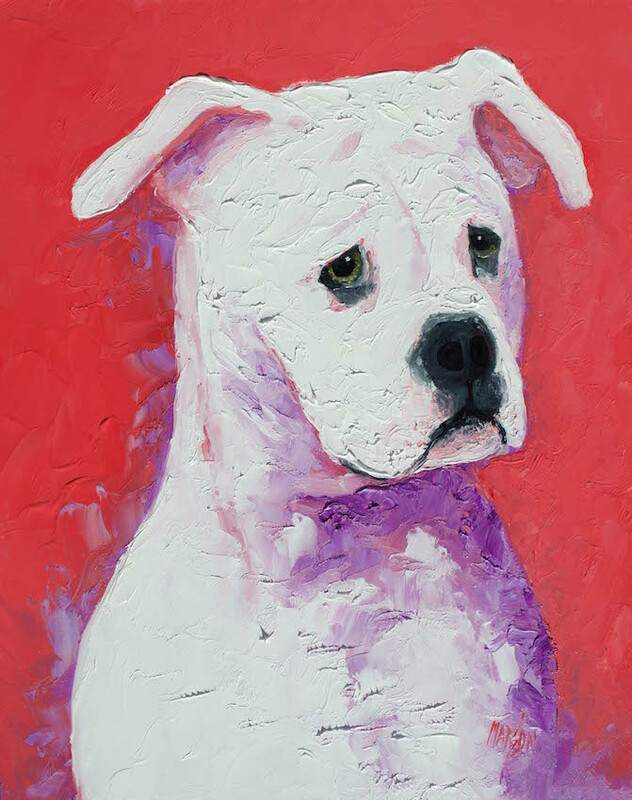 Or perhaps a colorful dog print for the dog lover! This American Bully is also available as phone cases, tote bags, throw pillows, shower screens etc. An oil painting of an American Bulldog for the animal and dog lover! 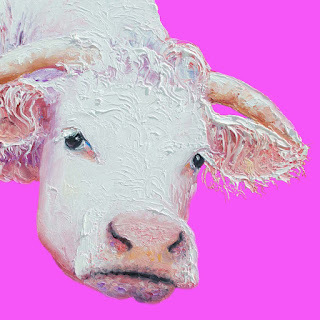 An oil painting of a white cow with horns on a bright pink background. A colorful cow print for the kitchen, cafe or cattle ranch decor.